And it was a rewarding experience because we were greeted by a glorious daybreak. 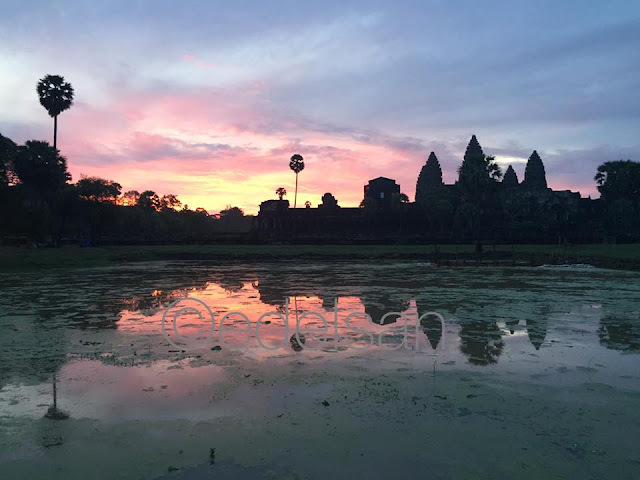 There were only a handful of tourist when we arrived at the sunrise watching spot in Angkor Wat. We even walked in the dark and was guided by our flashlights till we arrived at the temple grounds. And then daybreak happened, and every one took out their cameras to admire God's morning light. 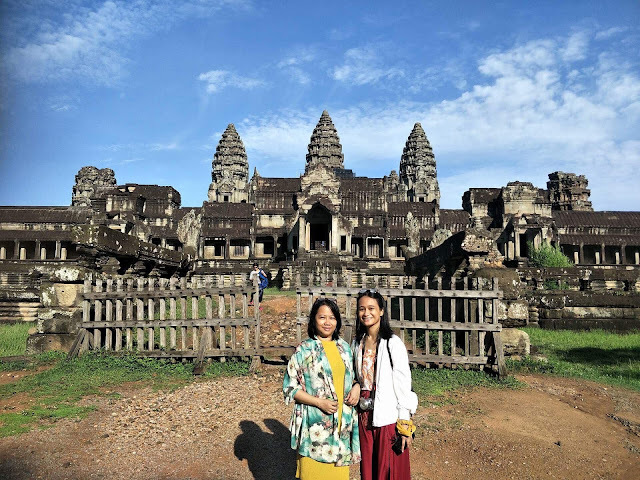 Here's me and my daughter at the other entrance of Angkor Wat. It looks different from this view and the surrounding forest was really, really quiet. Not much tourists venture this spot unless you have a personal guide with you.